This week's Daily Record column is entitled "Legal Technology Predictions for 2012." If 2011 was the year that lawyers finally took notice of Internet-based and mobile technologies--if only because these tools affected evidentiary issues in their practices--then 2012 will be the year that most lawyers not yet using these tools will make a conscious decision to put off using many of them in their practice. This is because for many lawyers, the continued economic recession will cause increased financial pressures and competition for clients, requiring lawyers to work harder just to make ends meet. Accordingly, emerging legal technologies will be a low priority since the time and monetary investment needed to learn about and implement these tools into their law practices will deter them from doing so. That being said, 2012 won’t be a technology vacuum for the legal field. Lawyers will become increasingly mobile and the use of iPads and other tablet devices will continue to increase dramatically. iPads will be the tablet device of choice since the iPad offers the best selection of work-related apps thus making it particularly appealing to lawyers. Smart phone use will also continue to rise, with the iPhone leading the way, in large part due to its compatibility with iPads. The use of Android devices will come in at a close second, with Blackberry use declining rapidly. However, when it comes to cloud computing and social media, the future doesn’t look so bright in 2012. I believe that attorneys’ use of cloud computing tools will rise very slowly over the next year, while social media use will remain nearly stagnant as some attorneys currently participating will drop out and will then be replaced by a nearly identical number of attorneys looking to test the social media waters. Specifically, regarding cloud computing, I predict that there will be a cloud backlash as a number of ethics decisions are handed down in 2012 which will discourage the use of cloud computing tools. 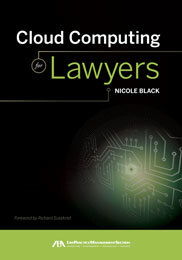 Nevertheless, some lawyers will still choose to use cloud computing in their law practices, but most will likely choose to use these tools for non-confidential information, such as billing or the storage of forms and other less sensitive data in the cloud. The good news is that the cloud backlash will reverse itself in mid-2013, much like what occurred with the email backlash in the 1990s. Rest assured, mass adoption of cloud computing tools for the processing and storage of confidential information is the future, it will just take the legal field a while to realize the inevitability of that fact. Regarding lawyers’ use of social media in 2012, the numbers will generally remain stagnant. LinkedIn will be the most active in terms of new participants, but the participation will generally be limited to the creation of profiles with no further interaction. The use of Facebook will also increase slightly in 2012, as lawyers join with the primary goal of keeping in touch with family and friends. The percentage of lawyers with active legal blogs and Twitter accounts will likely remain stagnant, as the number of lawyers abandoning their blogs and Twitter accounts will be nearly identical to the number of lawyers creating new legal blogs or Twitter accounts. There will be a sizable increase in the number of AmLaw 200 firms participating on Twitter and publishing legal blogs, although their Twitter participation will be mostly promotional and their blogs will consist of bland legalese and will be devoid of personality. For the most part, AmLaw 200 firms’ social media participation will lack the essential element that makes social media use worthwhile: personal interaction. For that reason, their social media participation will be mostly ineffective. Finally, by the end of 2012, Google Plus, Google’s new social network, will finally come into its own. Currently, Google Plus is in its infancy, but the Google development team is in the process of integrating Google Plus into all aspects of Internet users’ day-to-day online interactions, from search and media consumption to communicating with friends and family. As Google Plus begins to compete with the already established social networks and becomes increasingly mainstream in late 2012, lawyers will begin to take notice and the number of lawyers using Google Plus will begin to rise. So, those are my predictions. I feel fairly confident about them, but hope I’m wrong about some of them--in particular the cloud computing backlash. I truly hope that, come this time next year, I’ll look back and breathe a sigh of relief that the backlash I predicted never occurred. If that’s the case, I’ll truly be proud of my profession and the ethics committees for their forward thinking adoption of a technology that is undoubtedly the future the of computing. This week's Daily Record column is entitled "2011 holiday gifts for the tech-savvy lawyer." First, if you’re in the market for a smart phone, the newly released iPhone 4S is a strong contender because of its built in speech-to-text dictation system. This means that every time the keyboard pops up, whether in an email, text or web search, you have the option to dictate input rather than type it, and your speech is then immediately, and accurately, transcribed for you. Additionally, the Siri Assistant function makes it esy for you to dictate emails,texts, appointments,reminders, web searches, and more. Over time this function should improve, making the iPhone and other smart phones that follow suit, indispensable to the legal practitioner. Another great gift for the lawyer in your life is a tablet computer. Although there are a number of non-Apple contenders, including the Kindle Fire and the Samsung Galaxy, the iPad is considered by many to be the best tablet available right now. In fact, according to the 2011 ABA Legal Technology Survey, the iPad is used by 89% of lawyers who use a tablet device for work-related tasks. There a good reason for this statistic--of all tablets, the iPad offers the best selection of work-related apps that make it all the more functional for mobile lawyers. A few non-legal apps worth considering include my PDF annotation app of choice, SignMyPad, my favorite note taking app, Sundry Notes, and Zite, a news reader app that I use nearly every day. There are also a growing number of iPad-only apps designed specifically for the legal profession, including Fastcase, Trial Pad, Trial Touch, Exhibit A, RTLC: Evidence, Jury Tracker, iJuror, Jury Duty, ExhibitViewiPad, The Deponent App, iPleading, Mobile Transcript for iPad, LawStack, LawBox, and CaseManager. If you’re looking for iPad accessories, my iPad case of choice is the JavoEdge Axis case. Another option is to buy a case that includes a built-in keyboard--the perfect choice for a lawyer on the go. The Logitech Keyboard Case for the iPad2 comes highly recommended and is one that I’m considering buying in the very near future. Finally, last but not least, books always make good presents. There are a number of useful technology-related books for lawyers that were published over the last year, including “iPad in One Hour for Lawyers” by Tom Mighell and “Virtual Law Practice: How to Deliver Legal Services Online” by Stephanie Kimbro. Other books of interest include: 1) “Chef Supreme,” a cookbook that is a group effort authored by the spouses of the United States Supreme Court Justices in honor of Martin Ginsburg, Justice Ruth Bader Ginsburg’s late husband, 2) the newly revamped “Solo by Choice,” written by my co-author Carolyn Elefant, and 3) for Harry Potter fans, “Law Made Fun Through Harry Potter,” by my other co-author, Karen Morris. And, if these suggestions aren’t enough for you, you can always check out The Billable Hour (thebillablehour.com), a website that offers unique gifts specifically tailored to lawyers and legal professionals. * All of the suggestions above are based on my personal experience and preferences, but rest assured--I haven’t been compensated monetarily by any of the vendors for these recommendations, although a few of the iPad app developers did allow me complimentary access to test out their apps. When Does Contact Via Social Media Constitute a Crime? This week's Daily Record column is entitled "When Does Contact Via Social Media Constitute a Crime?" As the use of social media becomes commonplace, criminal courts are increasingly faced with the task of determining which types of social media contact violate the law. For that reason alone, it’s important for lawyers to familiarize themselves with social media, since it’s difficult to determine whether conduct occurring via social media sites violates the law in the absence of a basic understanding of social media. Just a month prior to this arraignment, the Town of Webster Justice Court addressed a very similar issue in People v. Welte, 920 N.Y.S.2d 627. At issue in Welte was whether an accusatory instrument was legally sufficient where the defendant was charged with criminal contempt in the second degree and stalking in the fourth degree. In this case, the complainant, the mother of the defendant’s child, alleged that the she had a “no contact” order of protection against the defendant and that the order required that he have no direct contact with her, either directly or through a third party. It was further alleged that he violated the order of protection by obtaining a copy of her Facebook “friends list” and then communicated with her “friends” via Facebook. In other words, as I always say, the medium doesn’t change the message. That a new form of communication is used does not make the contact immediately suspect. Instead, it is important to have a basic understanding of the technology being used and to then examine the content of the message and the context in which is was received in order to ascertain whether the conduct constituted a crime. Last week I mentioned that my co-author, Carolyn Elefant (with whom I co-author Social Media for Lawyers: The Next Frontier), recently updated and revamped her well known primer for solo attorneys, "Solo by Choice: How to Be the Lawyer You've Always Wanted to Be." This week, I'd like to highlight a new book written by my other co-author, Karen Morris (with whom I co-author Criminal Law in New York). Karen recently published a new book, "Law Made Fun Through Harry Potter's Adventures" along with her co-author Bradley Carroll. If you love wizards, witches, and Hogwarts, and if you are curious about the law, this book is for you. It explores the intersection of Harry Potter's adventures and the law of our society. You may have read all the books in the series, repeatedly seen all the movies, and yet never realized that the story includes many, many legal issues. Or you may have identified legal matters in the books but never knew if they were true-to-life. This book will expand your horizons by introducing you to the law using Harry's world and his adventures as the guide. I love the concept of this book! If you're a lawyer (or lawyer-wanna-be) who loves Harry Potter or you've got a child who is interested in Harry Potter (and who isn't?) who is also considering whether to be a lawyer, this would be a great present for the holidays. You can buy it here. 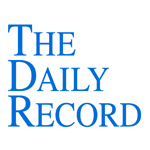 This week's Daily Record column is entitled "Cloud Computing and the Electrical Grid, Part 2." In last week’s column, we began our examination of the similarities between cloud computing and electricity. This week, we’ll consider how and why the outsourcing of power production occurred and how that process parallels what is happening today as businesses increasingly turn to the cloud for their computing needs. We are in the middle of a very similar sequence of events in regard to business computing and the mass adoption of cloud computing. The fiber-optic cables laid at the turn of the twenty-first century are now providing the bandwidth needed to take advantage of cloud-computing alternatives. Privately owned corporate data centers are underutilized and wasteful. More and more resources are being expended to maintain the status quo. For many companies, continuing to operate legacy computing systems is a complex and costly proposition when compared to the simplicity and cost-effectiveness of outsourcing the same functions to a cloud- computing provider. We have reached the tipping point. Of course, cloud computing is not the ideal solution for every business. In fact, for some businesses, cloud computing simply does not make sense. That might be the case for some law firms, at least for now. If your firm already has a desktop or server-based practice management, billing, or other type of software system recently put into place that works, then cloud computing may not be the best alternative—at least not right now. My co-author and good friend, Carolyn Elefant, recently updated and revamped her well known primer for solo attorneys, "Solo by Choice: How to Be the Lawyer You've Always Wanted to Be." My copy arrived in the mail just a week ago and I haven't yet had a chance to read it in full (although I plan to do so over the holidays), but the original was a wonderful resource for attorneys and from what I've seen of it thus far, this latest version manages to improve on an already great book. In addition to updated material, it includes a separate, smaller book, The Companion Guide, which boasts profiles of a number of solo lawyers and their advice regarding starting and running a solo practice. If these reviews are any indication, the latest edition of Solo by Choice is a must-have for any lawyer thinking of hanging up a shingle. So, if you're thinking of starting your own practice, this book is, by all accounts, a wonderful, useful resource. You can buy it here.